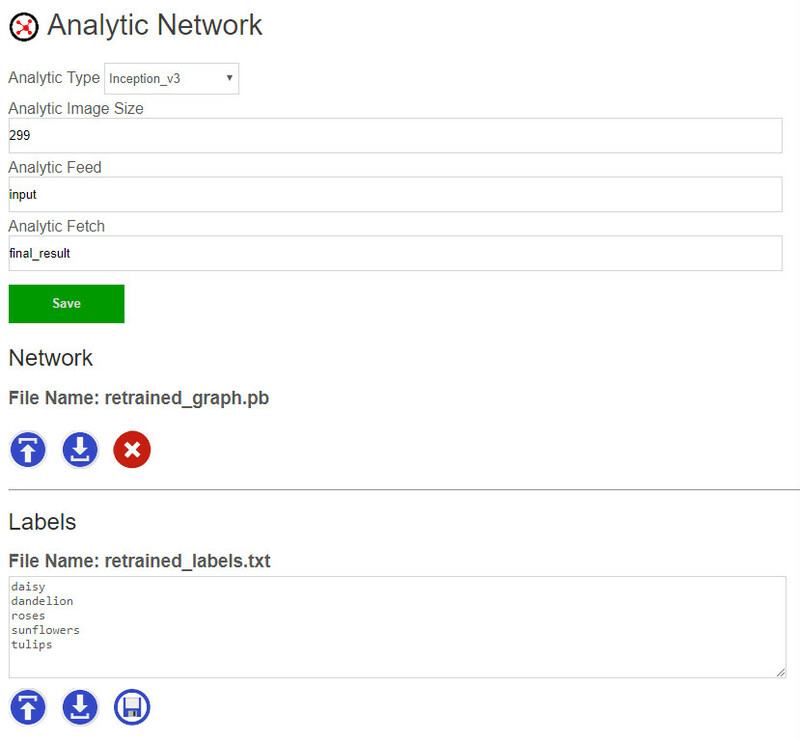 Bot Libre lets you host your deep learning analytic on the web, and access it through the Bot Libre web API. Bot Libre provides an open analytics repository that lets you use analytics that we or other users have defined, or share your own analytics. You can also create your own private analytics, or only share your analytics with specific users. To create an analytic you need to create and train a model using a deep learning framework such as Tensorflow or Bot Libre Analytics. For example to train a model for image classification you can use the Inception model and retrain it for classifying your own image set. There are a lot of resources, models, and data available on the web such as the Poets tutorial for image classification. Once you have trained your model you can upload the Tensorflow .pb and labels files in your analytic's Admin Console.